We walk in and out of our classroom door several times in a school day. Have you ever stopped to consider the fractions we encounter on the way? What if I continue traveling half of the remaining distance, on and on, forever? Will I ever get to the door? But how can that be? I travel to the door lots of times, and on my way I pass all of these fractions, and I do get there. Is it only when I think about the fractions that it makes a difference? Children guessed that it would grow forever and would not fit in our classroom. 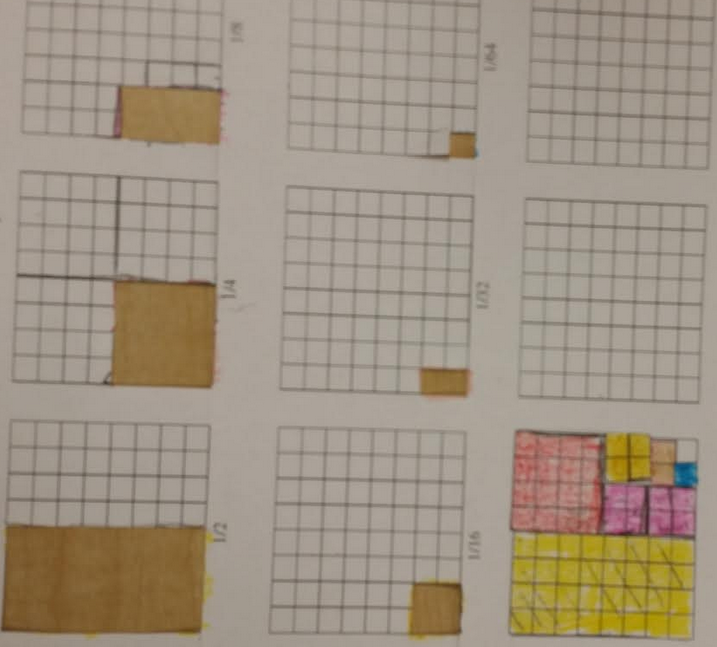 But when they started cutting out the shaded parts, they noticed that they all fit in one single 8×8 square, and that “I can hold infinity in my hand!” Now that’s something they looked forward to sharing at home. 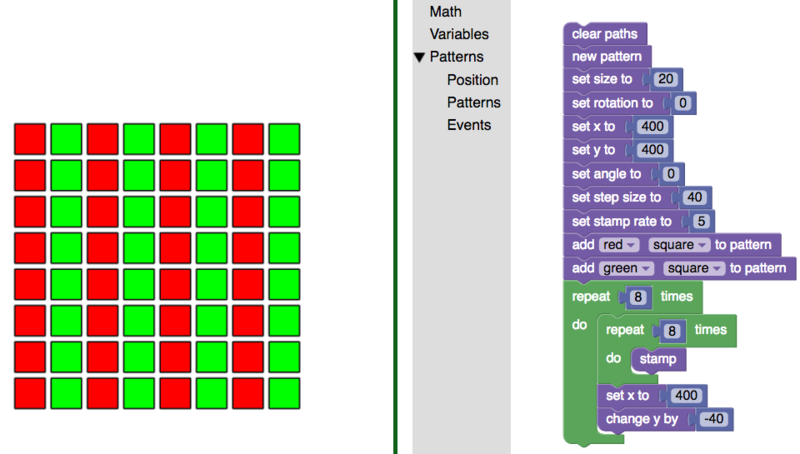 Children used code to create grids with colour and we discussed the fractions hiding inside. Interestingly, most children first saw 4/8 in the grid above. 4 of 8 columns are red. Then 32/64. 32 out of 64 small squares are red. Then, lastly,they saw that 1/2 of the grid (or the columns, or the small squares) is red. There was a lot of incidental learning of equivalent fractions, which we had not planned to teach. Then children were challenged to create the patterns below, and identify the fractions hiding inside. And they created their own fraction patterns!